Drawing the broad and thin lines with coloured pencils or felt pens, adds colour quickly. In an examination when time is short, this techniques is an effective and quick way of adding colour. 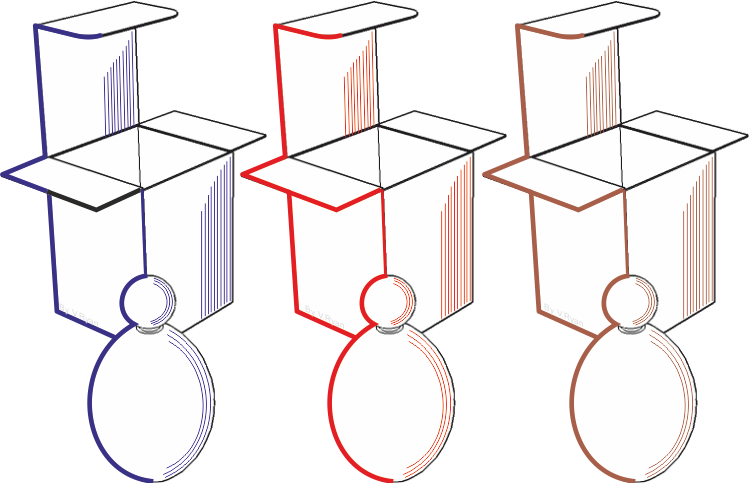 During the design process, when the designer is sketching initial ideas, this technique is also very useful, as only a little colour is needed. Two versions of a perfume bottle are on either side of the page. 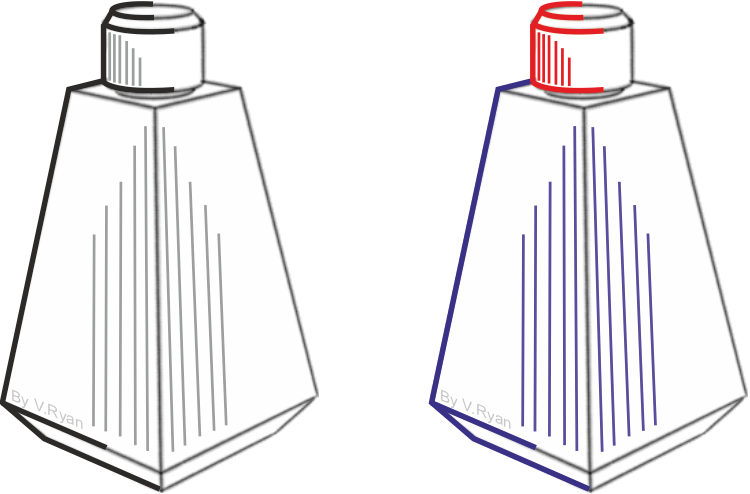 The bottle on the left hand side, could be drawn with an ordinary pencil. The darker board lines emphasise the outline of the bottle and it’s lid/top. The fine lines add light reflection to two sides. The drawing on the right hand side is a colour version. Exactly the same drawing techniques have been used. The colour is applied quickly and effectively.